Idustrial Revolution has taken the 8 3D titles supplied with FCPX from Apple and added a drop zone to each. Add a custom image to wrap around the text and then use their built-in animations. 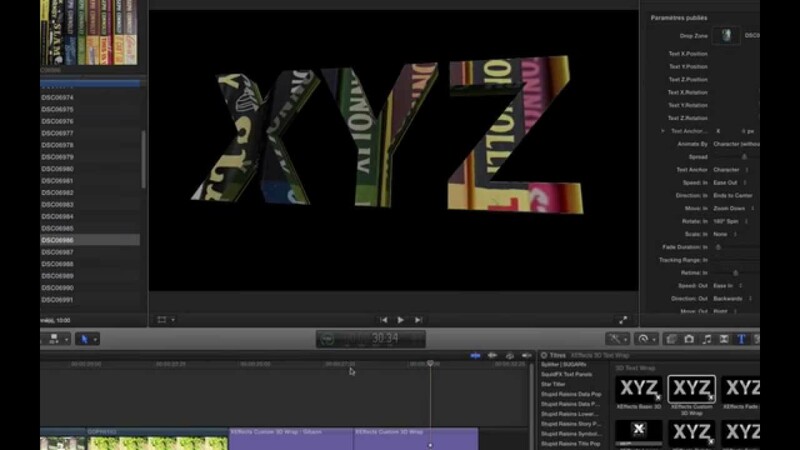 Idustrial Revolution has also published the XYZ position and rotation controls for each plugin in the inspector. This means the position of the animating text can be changed over time or the midway point positioned accurately. Read More and download the freebie here. Tags: 3D, 3D Text, animation, custom, FCPX, final cut pro x, font, free, freebie, GLJ Media Group, Idustrial Revolution, jeff riegel, jeffvlog, text, title, Wrap, XEffectsCategories: FCP-Premiere Editor Tips, FREE!